Everything is beta, folks. The future of work (for communicators) is a crazy messed up dystopia – unless one prepares, builds new muscle, sloughs off dying practices. I shared this prognostication last week at a talk to communicators in Vancouver, and advised they follow the general principle of antifragility: it is better to do what you cannot explain than explain what you cannot do. The first of which is change is happening at logarithmic scale. 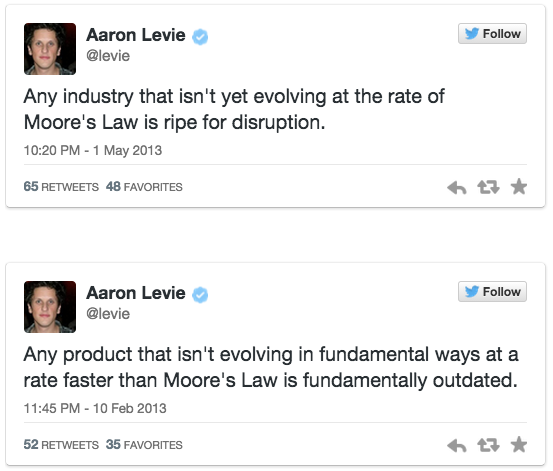 Moore’s Law goes way beyond chip processing power. Vala Afshar shared this visualisation of Moore’s Law between 1993 and 2013 on twitter recently – fantastic! But here’s the thing: many people want to work in a linear fashion. Most communicators (or workers) I meet are GIGOers – garbage in, garbage out. They seek an input that maps to an output. They want balance in each side of the equation. A place for everything and everything in its place. Utterly unattainable. 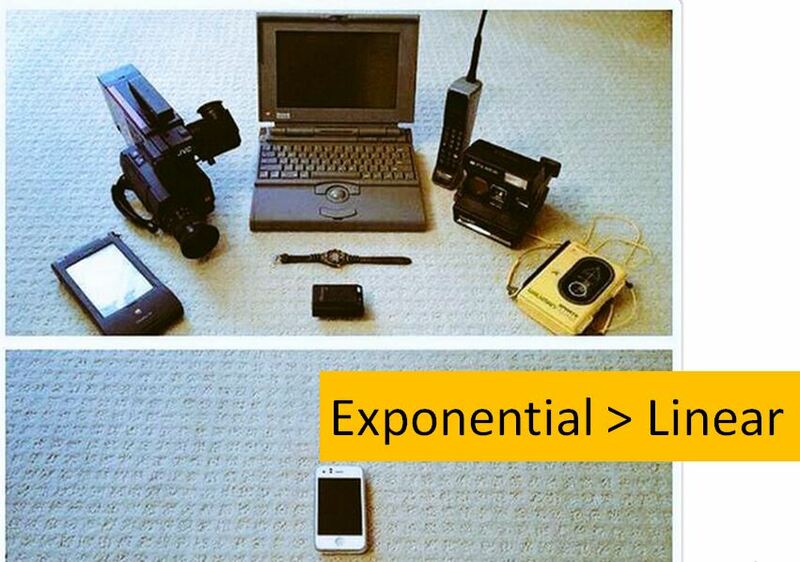 The embrace of exponentiality is critical. Making inputs scale is crucial. Data, information, content (even life) – everything is moving too fast to control it, own it, police it. In the next post I will share three observations about tools – and how communicators need to let go of control; how they need to jump into the fast-moving stream of data.